Most fifties British saloons fill the enthusiast with nostalgia and pride, well they do for me and none warm the soul more than the Standard Pennant. Honest, straightforward and cuddly, the kind of classic you give a name, a girl’s name at that; for the Pennant is certainly no Geoffrey. The family of small Standard’s took on the establishment including the Minor and A30 in 1953 with its Eight model. For £481.7s 6d the buyer got 4 doors, 803cc with hydraulic brakes which was followed a year later by their Ten with bigger everything, including the price. At £100 more than the Eight the all new Standard Ten advertised 948cc with adjustable seats but the real interest came in 1956; an option called Standrive. With two pedal control, the solenoid operated centrifugal clutch/gear change operation not only sounded complicated but I have never heard of anyone driving such a system; would any CCM readers care to enlighten me? 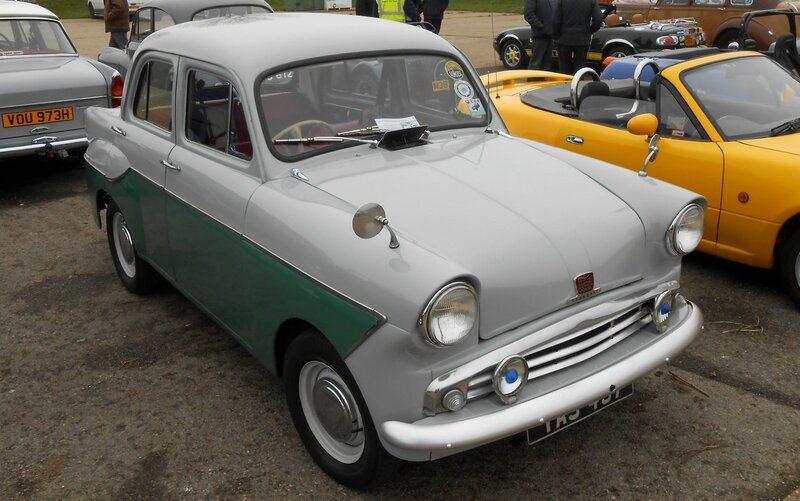 Standrive was available as an option when the Pennant was announced in October 1957 but then so was Laycock overdrive but the majority would surely have settled for base model at £728, making it the most expensive small car in any showroom. There was nothing Standard about the Pennant, as pointed out within the brochure two tone paint compliments lashings of chrome. The interior featured the new ‘self-breathing’ Vynair upholstery with a floor mounted gear lever and lockable glove box lid. It got better because the Pennant enjoyed the Gold Star engine of 948cc with a higher lift camshaft and a larger carb. Over 40mpg was the norm for the range topping Pennant but in just 2 years it was gone after just 43k had been assembled. A rare beast on our roads today but surely a drive to live long in the memory, especially for those who endured the two pedal version, did the lovely Pennant perform as well as it looked? Whilst this stunning Italian performer would have set pulses racing in 1965 it came at a price that could have acquired a pair of Lotus Cortina’s and nearly a 911 Porsche. When Motorsport magazine tested it in August of that year their report confirmed that a £3k tag included tax but minus the electric window option. UK import tax didn’t assist the sale of the 2300S certainly but for those who hankered after something unique, this coach built model styled by Sergio Sartorelli of Ghia ticks all the boxes. Underpinnings from the 2300 saloon that arrived in 1961 the Coupe version was developed as a prototype and went on general sale in 1962. 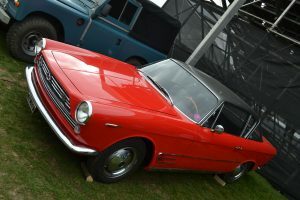 It said Ghia couldn’t keep pace with demand and sub-contracted work to OSI of Turin and of around 7,000 produced only 200 were RHD with around 70 official UK imports. Ex- Ferrari engineer Aurelio Lampredi designed the straight six power plant and the ‘S’ version enjoyed two twin choke Weber carbs and 120mph performance. The four-speed manual gearbox was hailed as a success and RWD made this Coupe a ‘drivers car’ of note with stopping power provided by all round discs and twin servos. Surely, all the performance and technical data will impress but for me this Coupe allows all to admire its best attributes; the styling. Inside featured sumptuous deep seating with thick carpeting and plenty of dials to admire through the wood rimmed steering wheel. The wrap around rear window would have been novel in the early sixties, a reverse screen really, whilst the body offers just simple grace and the phrase ‘reassuringly expensive’ springs to mind; it certainly was that. At launch, this high-end GT was twice the price of the E Type but everyone had one of those. Unique, quick and oozing style and I for one envy any CCM reader who has sampled the delights of this rare Italian Gran Turismo.